My first zine was one of two for San Francisco Zinefest in 2012 called “Never Date Dudes From the Internet.” I was going through an old yahoo mail account and found a folder labeled “craigslist” – I thought it was from when I was looking for apartments when I first moved to California but it turned out to be every email I received when I put out a dating ad in 2005. I put it all together with the original ad I posted – it’s sort of a history of a slightly more innocent period of internet dating. 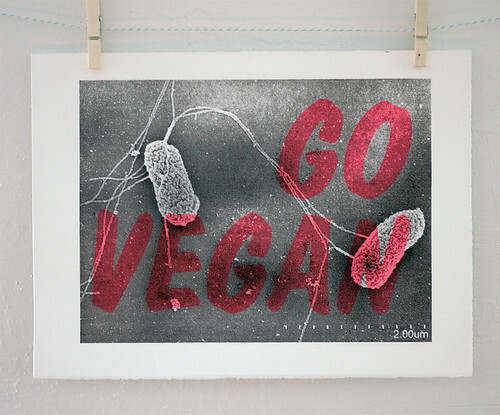 My background is in the biological sciences and I worked in labs for 10 years, mostly with bacteria. The new book I’ll be bringing to LAZF is called “My Favorite Microbes” and is about the (mostly) friendly bugs that live in the world around us: soil bacteria, bacteria that live in volcanoes, bacteria that live inside other bacteria, bacteria in clouds that make ice form. I’ve made art based on of some of my dad’s tweets. He’s a twitter genius and a lot funnier than I am. 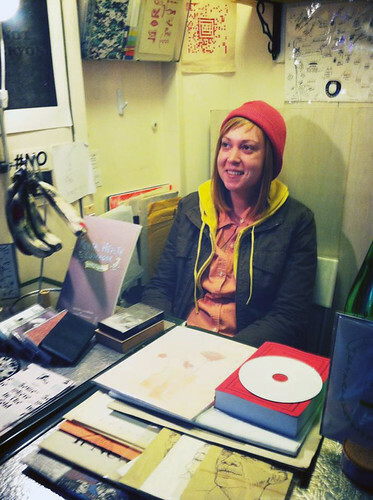 Emily Alden Foster – Her zines are clever and unique and have this universal, all-ages appeal. We met through zines and recently collaborated on a video project. With her I was able to work in a medium I had never tried before, and our results were great … the zine community is so wonderful. Jessica Lewis – She and her fellow editors run Static Zine in Toronto, which is the first collaborative zine I’ve contributed to (Issue #8, Mental Health). That was my first opportunity to get really honest about a topic – my experiences with antidepressants – that I wanted to talk about but didn’t know where to start. Jessica writes some very thoughtful zines of her own and is a lovely pen pal. David Murray – David runs the t-shirt and design company SEIBEI as well as Telegraph Gallery in Virginia with his wife Kate DeNeveu. I’ve known David since college, and I’ve watched him build his artistic empire from scratch. We made our first zines together and shared a table at our first zine event. His approach to art is “what can I do next that will make my friends laugh?” and I try to think about that too every time I start a new book. Shortly after San Francisco Zinefest this past September, my husband was in a bicycle accident. He’s doing great now, but he needed surgery and physical therapy and only started walking again in December. That took over our lives for the last few months, but he’s getting back to work now and I am too. If you haven’t seen me or heard from me since SFZF, please find me and say hi and tell me what you’ve been up to! I can’t wait to see everyone again! For more from Amy Burek, check out Awkward Ladies Club online!